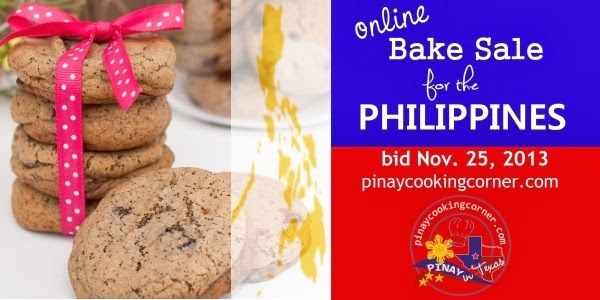 Please support Pinay Cooking Corner on it's Online Bake Sale for the Philippines. All donations will go to Sagip Kapamilya the emergency humanitarian assistance program of ABS-CBN Foundation, Inc..
By either donating your baked goods or being a buyer, you will be supporting a great cause and helping bring concrete hope to Filipinos in their moment of greatest need. For more information please visit PinayCookingCorner.Com.